Here are some of our latest offerings. For more information on any of them, please call, email, or fax us. 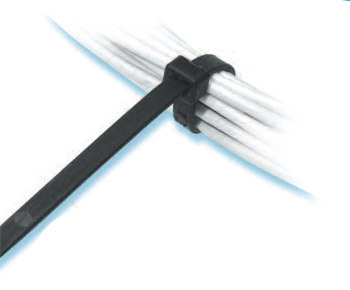 Smooth, radiused edges ensure that Nytyes won't cut into the cable's insulation—or the installer's hand. Close, evenly spaced teeth permit fine adjustment—from .025" (0,6 mm) on the smallest Nytyes to .063" (1,6 mm) on the largest. 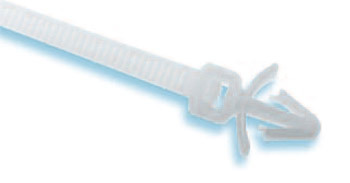 Snap quickly into holes with only fingertip pressure. Provide one-piece mounting and bundling. Hold securely in panels up to 1/8" (3,2 mm) thick. Releasable and reusable ties for easy bundling, closing, bagging, holding, and tying. Polyethylene for high flexibility and moderate strength. 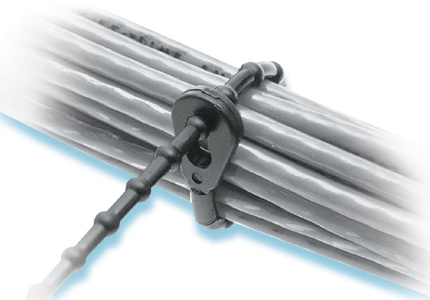 Multiple sizes for bundles up to 3" (76,0 mm) diameter. Contact Cords Canada to learn more... and click here to see our full line of Ties.